RTX 2080 Max-Q? – Check! Six core Intel CPU? – Check! Barely 18 mm thick and a little over 2 kilos in weight? – Check! This is the new Triton 500 laptop from Acer. You get monster hardware in the form of a thin and light chassis. In fact, the Triton 500’s form factor is one of the smallest you can find in the 15-inch market. The chances are that you are probably more familiar with MSI’s famous GS65 Stealth or ASUS’s Zephyrus laptop, than the contender we have on the doctor’s table today. However, you have to pay attention to the details as you go on the journey of revealing what makes the Triton 500 so potent. As with the other “gaming ultrabooks” we just mentioned, we are obligated to put the manufacturer’s words in doubt. Because seriously, RTX 2080 Max-Q in a laptop that fits in your backpack just right? What kind of sorcery is this? In addition to that, we are going to shed some light over the GPU itself, as it is the first time we encounter this power efficient monster. First, we should note that in order to get a Triton 500 for yourself you have to pay a premium. And when you pay a premium, you expect a premium. Certainly, the first impression here is that Acer has got you covered. You’re going to receive your laptop in a simplistic matte box which screams Predator from miles. Inside it you are going to find further two boxes – one for the Triton 500 itself and one for the 180W power supply – yes this is how efficient the RTX 2080 Max-Q is! By the way, a box meant for the laptop is pretty gorgeous. Straight out of the box the only thing that gives the laptop away for being a gaming device is the Predator logo on top (it shines in blue by the way). Other than that, the design is very simplistic – we love it. It is mainly build out of aluminum with plastic appearing only around the screen and on the back side of the Triton 500. It is somewhat reminiscent of the Triton 700, although it is a lot classier. As we already mentioned the laptop measures 17.9 mm in thickness and weighs 2.09 kg – just a little heavier than the MSI GS65 Stealth. Although the lid has an aluminum cover, it is pretty susceptible to torsion pressure and has some wobbling when you press it on top. However, we can’t say the same for the base panel, which bends ever so slightly but you have to apply a great amount of pressure – unlike the older MSI GS63 which is softer than cheese. Moving to the aforementioned base, we see an adequate arrangement (unlike the one on Triton 700) – the keyboard is in its place, as well as the touchpad. Above the keyboard, we can see a large grill which is basically where the fans are fed cold air with. That’s a lot more effective than breathing from the bottom of the device as there is essentially no physical obstruction. The keyboard itself is a little softer than our likings. However, it has long enough traveled, especially given how thin is the laptop. In addition to that, there is an RGB illumination (the default setting is blue, in contrast to the mainstream red of the competition). It can be controlled by Acer’s in-house PredatorSense app. Further below is the touchpad which has Windows Precision drivers. It has the keys embedded in itself, which is fine. Moreover, it feels adequate for browsing around the menus but we doubt anyone is going to use the Triton 500 without a dedicated mouse. Triton 500’s bottom plate has even more holes drilled in it. However, it is hard for any air intake. The hot air, on the other side, comes out of the back and the sides of the laptop. By the way, we noticed that the bottom plate gets extremely hot during heavy gaming – we would suggest playing anything other than Minesweeper when having the notebook on your lap. On the bright side, it can be useful for frying yourself some breakfast. Acer Predator Triton 500’s sides are loaded with I/O. This is usually not great because if you have a bulkier gaming laptop you’ll be used to having most of your ports on the back. However, this is impossible with an 18mm thick model. Anyhow, on the left side you are going to see a barrel styled plug, an RJ-45 connector, a USB 3.1 (Gen. 1 ) port, as well as an HDMI connector and two audio jacks. On the other side are located the rest of the USBs – two Type-As 3.1 (Gen. 1) and one Type-C with Thunderbolt 3 support. Completing the package is a single miniDisplay port on the right side of the device. Having such a tight body, means you have to sacrifice something. The biggest sacrifice altogether is the ease of upgrading this laptop. Surely, you can do it, but you have to have some skill and balls to open the Triton 500 up. The first step is basically the same as any other notebook on the market – remove the screws, then pry the bottom panel up and voila – you’re inside. However, this leads you to nothing, except for a possible battery change. In order to have access to the viable internals, you need to dig further. Next, you have to remove the hefty 84Wh battery, which is held in place by two Phillips head screws. After that, you have to carefully disconnect a couple of ribbon cables from the motherboard. Then, there are seven screws to be removed, some hidden by the screen cable (between the two fans). For most accurate instructions just take a look at our video at the beginning of this segment of the article. Acer Predator Triton 500 is equipped with a very sophisticated cooling solution. There are a total of five heatpipes – one common for the CPU and GPU. One each for either of them, as well as one dedicated to the system’s VRMs and one for the VRAM. They are bent and twisted in such a way, that forces the fans to blow both backward and sideways. The storage options comprise of two M.2 NVMe slots in RAID 0. We further impressed to see two RAM DIMMs on this motherboard. Acer Predator Triton 500 has an IPS panel, model number AUO B156HAN08.2 (AUO82ED). Its diagonal is 15.6″ (39.62 cm), and the resolution 1920 х 1080 pixels. The screen ratio is 16:9, and we are looking at a pixel density of – 142 ppi, and a pitch of 0.18 х 0.18 mm. The screen turns into Retina when viewed at distance equal to or greater than 60cm (24″) (from this distance one’s eye stops differentiating the separate pixels, and it is normal for looking at a laptop). The measured maximum brightness of 316 nits in the middle of the screen and 314 nits as an average for the whole area, with a maximum deviation of just 3%. The Correlated Color Temperature on a white screen is 8020K – colder the optimal for the sRGB standard of 6500K. The average color temperature through the grey scale before profiling essentially matches the optimum at 7860K. The yellow dotted line shows Acer Predator Triton 500’s color gamut coverage. Its display covers 93% of the sRGB/ITU-R BT.709 (web/HDTV standard) in CIE1976. Below you can compare the scores of Acer Predator Triton 500 with the default settings (left), and with the “Gaming and Web design” profile (right). The light coming from Acer Predator Triton 500’s screen doesn’t flicker at any brightness level. Thankfully, this enables you to play for extended periods of time, without risk of further damaging your eyes and brain. Acer Predator Triton 500 has a Full HD panel with comfortable viewing angles, reasonable maximum brightness, and 144 Hz refresh rate. Combined with the wide color coverage and the lack of PWM in brightness adjustment, makes the screen a top deal. Moreover, its color accuracy is not far from the norm and if you need to go even more accurate, you can get our Gaming and Web design profile. Since our profiles are tailored for each individual display model, this article and its respective profile package are meant for Acer Predator Triton 500 configurations with 15.6″ FHD IPS AUO B156HAN08.2 (AUO82ED). Acer Predator Triton 500 has speakers that produce very good sound. Its low and high tones are clear, while the mids have some deviations. The sample unit we received had all of the necessary drivers and utilities preinstalled. However, in order to download updates manually, you can pay Acer’s official website a visit. Now, we conduct the battery tests with Windows Better performance setting turned on, screen brightness adjusted to 120 nits and all other programs turned off except for the one we are testing the notebook with. Acer has shown that space is no excuse to put small batteries on laptops with this device – an 84Wh unit is on board. However, despite the large battery pack, Predator Triton 500 was able to run for around 4 hours while browsing the web and half an hour more when watching videos. If you want to play some games away from the plug, the powerful RTX 2080 Max-Q is going to annihilate the charge for no more than an hour. By the time of writing this review the single choice of CPU is the Intel Core i7-8750H. It is a direct successor to the Core i7-7700HQ. The new Coffee Lake processors feature six physical cores instead of the just four found on the Kaby Lake CPUs. Moreover, the blue company was able to fit the extra two cores on the same 14nm architecture while maintaining a TDP of 45W. In terms of clock speeds, we have a slight drop in the base frequency from 2.8 GHz to 2.2 GHz but the Turbo one is 4.1 GHz (up from 3.8 GHz), whatsoever. This means around 50% better performance on theory and 9 MB of cache (vs 6 MB on Core i7-7700HQ). However, the new Core i7-8750H will be more cooling-dependent, due to the higher clock count and the wide range of Turbo speeds. On the GPU end, there are no particular changes as the Core i7-8750H retains the HD Graphics 630 cores with 350 MHz Base frequency and 1100 MHz maximum Dynamic frequency. The only difference is the support of OpenGL 4.5. In the GPU compartment you can choose between the more budget-friendly RTX 2060 with 6 GB of GDDR6 or the energy efficient behemoth – RTX 2080 Max-Q packed with 8 GB of GDDR6. The former has a base frequency of 960 MHz and reaches a maximum boost of 1200 MHz. Looking at the latter, the situation is hardly any different with the speeds being 990 MHz / 1230 MHz respectively. However, despite the same power usage – 90W, these GPUs have a different CUDA cores count (hence, the price difference). RTX 2060 is equipped with 1920 CUDA cores, while the RTX 2080 Max-Q has 2944. Here you can see an approximate comparison between the GPUs that can be found in the Acer Predator Triton 500 (PT515) models on the market. This way you can decide for yourself which Acer Predator Triton 500 (PT515) model is the best bang for your buck. 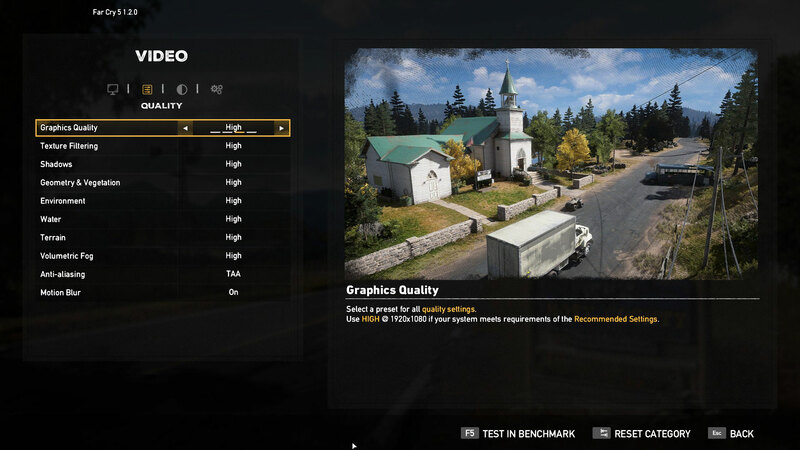 The RTX 2080 Max-Q in this machine delivered some impressive performance. However, it lacked behind the RTX 2070 in some of the games. This can be devoted to the thin form factor of the Triton 500 or some power limitations. Acer Predator Triton 500 didn’t show the highest frequency of them all in the beginning of our stress test. As you know we give you an average clock speed for all cores. However, the Intel Core i7-8750H in this laptop was able to reach up to 3.7 GHz on some of its cores for the first 10 seconds. However, for the rest of it, the cores stabilized at an equal frequency. The conclusion we can take here is that Acer has picked a more conservative thermal adjustment in order to give some headroom for the GPU, as it is the most stressed piece of hardware in gaming. As we mentioned, the maximum boost clock of the RTX 2080 Max-Q is 1230 MHz and the system has no problems coming close to that. It handles it with a maximum temperature of 81C at the end of the test. On the other side, the Triton 500 is one of the noisiest computers out there. It even has a “Turbo” button over the keyboard, which boosts the fans to their limit, giving you a couple of degrees headroom. Its externals are just as hot as the insides. If you have your fingers around the “J” key, you have to prepare to say goodbye to your fingertips. While we were happy to play with this machine, we noticed some things about it that were hard to swallow. First, the fan noise. Guys, this thing is exceptionally loud – it is a little annoying in a long gaming session. However, what we liked was that they don’t kick in in a day to day usage. Next, we have the tricky upgradability. Props to Acer for giving you the opportunity to swap an SSD or put more memory, but it is a pain in the a*s to do so. On the bright side, however, there are two M.2 NVMe slots which are able to work in RAID 0. In addition to that, there is the 144Hz display with G-Sync, 93% coverage of sRGB and no PWM-adjusted brightness. Of course in order to enjoy the full capacity of the 144 Hz refresh rate you need a powerful graphics card. The RTX 2080 Max-Q edition Triton 500 performs close to the GeForce GTX 1080 we tested on the Alienware 17 R5, which is impressive at this footprint. However, we expected to see more from it and we are certain that future updates are going to address some performance issues and we hope that they fixe the fan curve, so that you don’t vacuum the laptop to the table next time you play Battlefield V.
Is the m.2 slot only NVMe or does it support SATA3 aswell? Most percentage figures (if not all) are wrong. Can ssd upgrade up to 1 tb (512×2) ?? ?